The earlier 10'6" chassis wooden framed M wagon is built up from Lyndon's recent body kit on an SEM steel chassis and fitted with a cut-down SEM corrugated roof and Glenburn's usual detailing suite, though with transition autocouplers per prototype, this being the reason for the re-chassis of the prototype to steel. A comparative picture of most of the various M derivatives in my fleet also included. 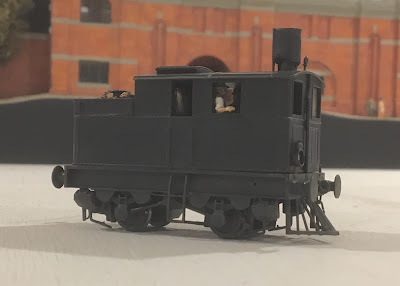 While a passing element on the double-tracked electrified section of Glenburn, the F Class Motor is a signature item for an inner East minor branch during this era and I had wanted to build one pretty much since inception of the layout. A HO model is a tricky proposition as it is very small and I looked across a very wide range of alternatives before settling on modifying a Bergs NSWGR F351 2-4-0 kit to the F Motor. While not a complex built it was intricate and I worked hard to get the feel of the loco. Build is as can be seen in the in-build pictures using a mix of the kit modified and scratchbuilt sections. Mark Tregoning's hand-turned chimney was a real bonus. 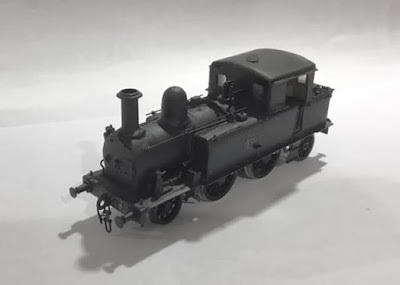 Modifications to Model Rail's Sentinel model to better approximate the model that ran on the Kerang & Koondrook Tramway include bunker extensions, spark arrestor on the chimney, pilot and various other small changes including crew and couplings. At 4mm scale the Sentinel is comparatively larger than the other stock however the small prototype size reduces this considerably. While likely not for service on the suburban section of Glenburn, the Sentinel is intended for use on a future country tramway branch extension in the same 1925-35 era. 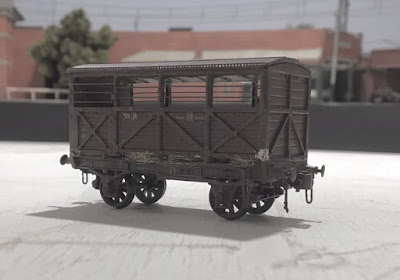 Steam Era Model's very fine update of the long wheelbase U van needs only marginal modifications to revert it to the interwar era - less handrails and traffic-board strips being the most other than a transition coupler and the other usual Glenburn detail spec. including smudged chalk marks in the weathering coverage, very common in this period when the next destination was often chalked on during marshalling/shunting. Orient Express Models were good enough to produce one of their M vans in the earlier livery prompting the addition of one to the fleet and the purchase of my first RTR Chinese plastic wagon for Glenburn. Changes for the reversion to era were minimal as shown in the pre-painting/weathering picture - Straight coupler release lever, change air pipe, buffers (SEM VR style are indicative rather than accurate for SAR), and add a 3 link coupling to the knuckle to approximate the transition coupler. 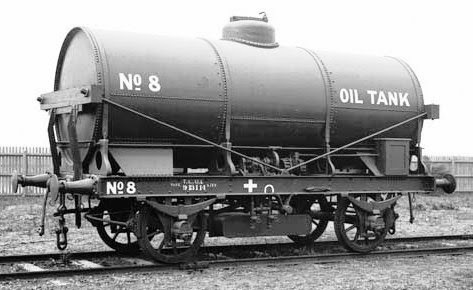 OT 8 was one of the very early VR oil tank wagons and was quite special as it was allocated to Jolimont and used for meeting the oiling requirements of the substations as part of the electrification of the Melbourne suburban Network. 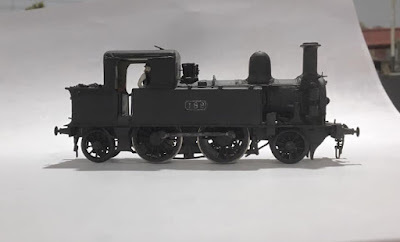 As such it is very appropriate to the layout and I set about backdating the exquisite later-configured model of this tank made by Precision Scale Models. 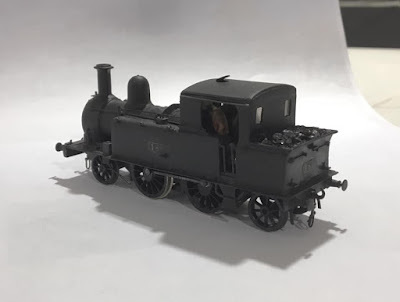 Below are after/during/before pictures with a picture of the prototype also. Changes were removal of the later additions (ladders, platforms, presumed breathing pipe on top, couplings), and fabrication of the hose box and supporting struts below chassis (styrene), switch box (styrene), pump (modified train bits and chopped up machine guns from my misspent youth modelling war subjects), valves (chopped up aircraft landing gear from that same misspent etc.) and screw link couplings, before a respray and very light weathering. With thanks to members of the Victorian Railways forum for detail on operations of this wagon, and Phil Dunn for accurate information on the changes. An early steel I wagon initially rated at 7 tons, I think the later chassis type may have seen this increased to 8, but have no evidence, so 7 it is. I had one blurred side-on photo and the basic diagram to work from, so the end detailing is pure speculation. Few in number initially, only a dozen or so made it to/through my era and this one doesn't seem to have been WH fitted hence the white square for through piping. 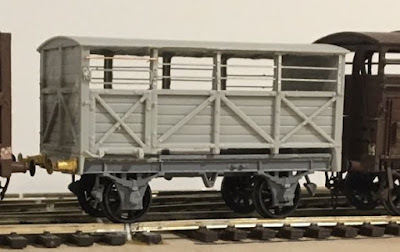 Livery/weathering is deliberately heavy for a wagon very much at the end of its life, and likely they were mostly in terminal traffic or like. 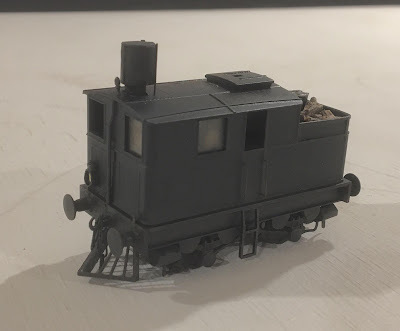 Few made it to be re-stencilled as IB's, so this is an I. Scratch styrene etc. body and brake gear on SEM chassis. 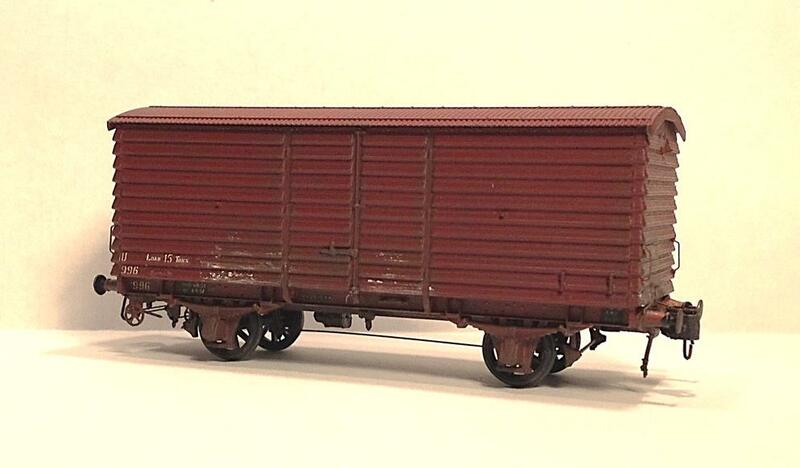 The smaller 12 ton drop door wagon, also coded IG as with its larger drop door brethren. Build was primarily styrene with Archer rivet decals atop SEM's 10'6" chassis, usual era-specific details. 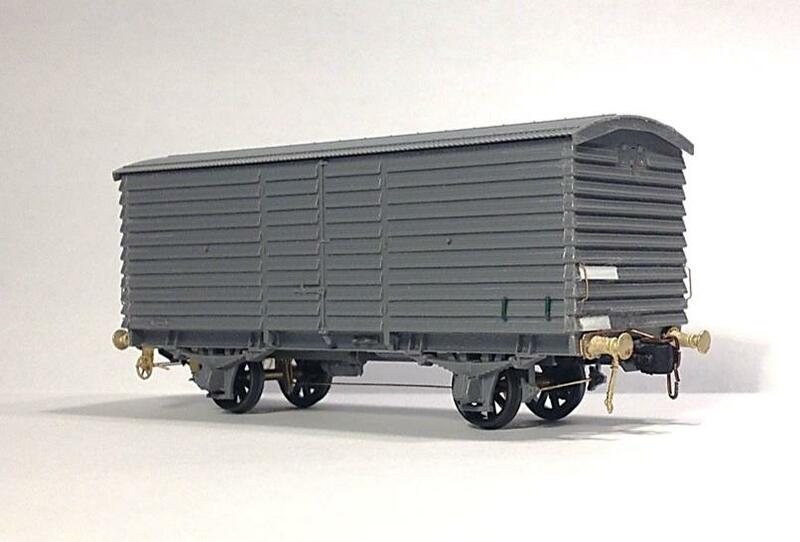 With thanks to Phil Dunn for detail provided on these not uncommon, but rarely photographed wagons. Years ago I purchased some Scaleways (I think?) QN parts and after a decade the casts were still sticky, so I re-cast them and put them together with Steam Era Models plateframe bogies, Model Etch brake wheels and other detailing from styrene and wire to make them suit Glenburn's era. As with other non-SEM kit builds, decalling is sourced from SEM's Imperial Decals sheet which covers a very wide range of VR wagon types and is recommended for anyone modelling this era. There were a couple of other points of difference that I left as I considered them immaterial and/or I could not find enough evidence to date them to this era. 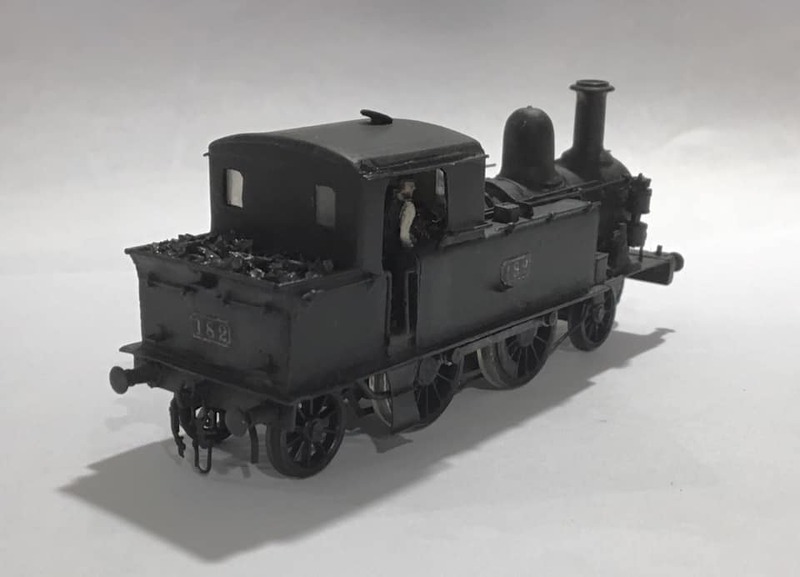 I managed to acquire one of Train Hobby/PSM's E Class locos with great provenance during 2010, a lucky find. 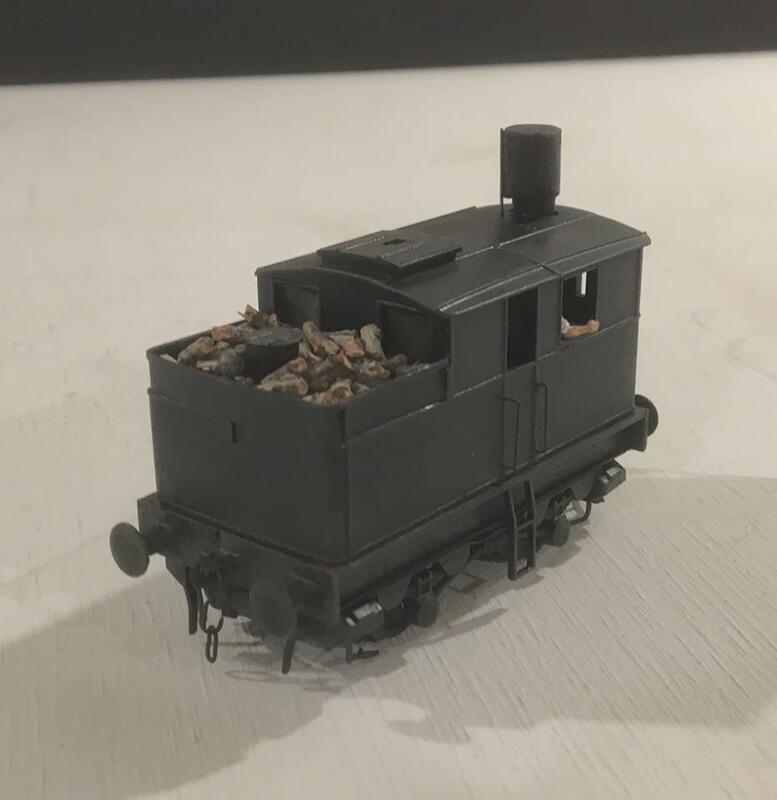 The quality, detailing and finish of this model is outstanding. The E is the first brass locomotive I have owned and took quite a few years savings to afford, so it has taken a few more years to acclimatise enough to have the courage to backdate it to a proper appearance for "Glenburn's" era. The changes weren't a great deal of work, but made up for it in fear! With only 100 of these made, one didn't want to get it wrong. I removed the horns, leaving the whistle/squeegee. I then removed the extended/halved buffers, the housing for the auto-coupler and the coupler lift bar, then filed/sanded down the headstock to flat. I formed a coupler strike plate from brass sheet in accordance with VR plans for same (with thanks to Phil Dunn and Brett Whelan for provision), and added this and screw link couplings, then added new buffers (Steam Era Models with the backing plate removed). I also added a brake activating rod and MV lenses to the marker lamps before the painting and light weathering. 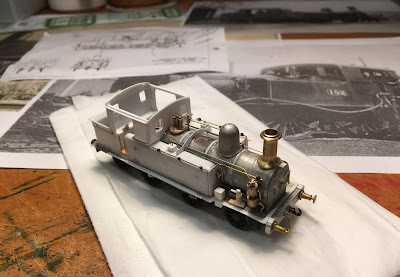 I don't have a MV Lens of the right diameter at this stage to replace the clear headlight but intend to do so at some stage, for now I just painted it with grey and some metallic silver in parts. The revised headstock arrangements, and the model as purchased can be seen in the pictures below. The horsebox at the opening of "The Man From Snowy River" (VSPY 7?) 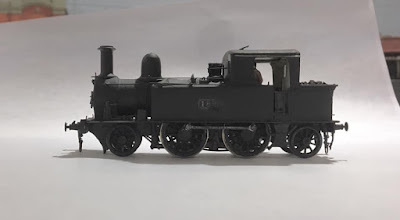 was one of my first prompters to model Victorian Railways. As such, I was quite excited when Steam Era announced the FF. A challenging and intricate kit, the FF nonetheless repays with a very nice rendition of this quite individual prototype. Purchasing the early version has meant era-specific changes were minimal, and because this batch were new during the middle of my era I have kept weathering to a minimum. 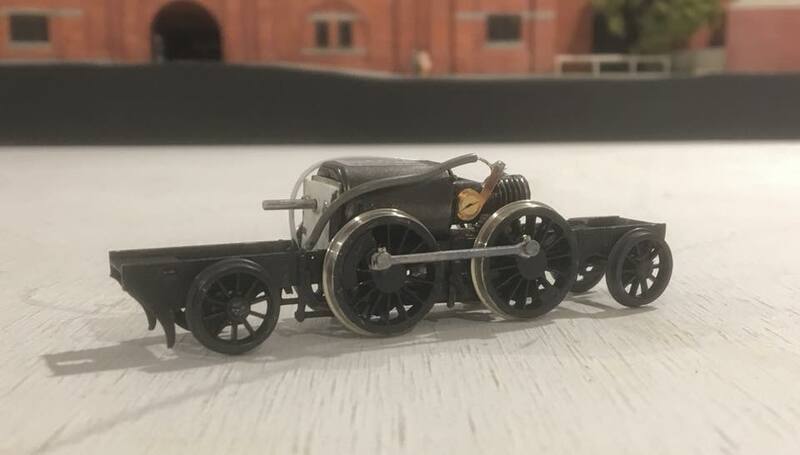 I have finally got around to building one of Steam Era's W coaches, this one a BW. 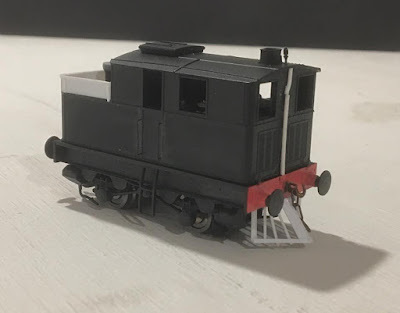 This is an interesting kit that goes together nicely, and I think the use of nylon thread for chassis bracing is ingenious and works very well. Changes for Glenburn's era weren't too significant - I scribed in the mirror surrounds above the windows, added buffing plates and supports and screw link couplers. The handbrakes weren't fitted until later so I left these out. One change I didn't make was to remove the anti-collision posts at each end as these are near-hidden by the corridor connection, and I would likely make more mess than benefit trying to remove them. The only other change is positioning and type of lettering.